Our goal is for you love your new fence and have a great experience. 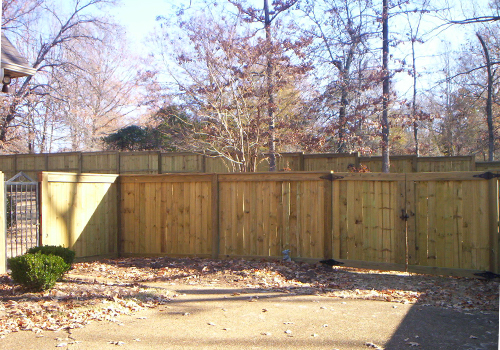 A new fence will add value to your home or property value. Both economical and perfect for large areas. Our chain link fencing comes in traditional and powder coated black. Privacy slats in various colors available. 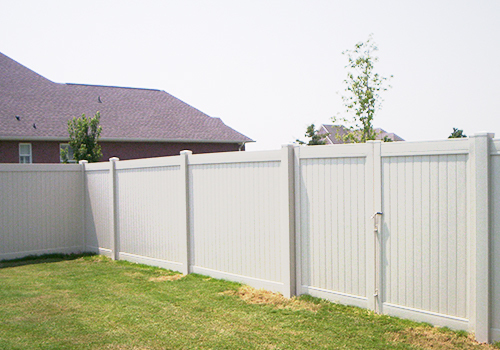 Long-lasting and easy to take care of, our vinyl fencing comes a wide variety of styles to fit any property. Get yours installed today. 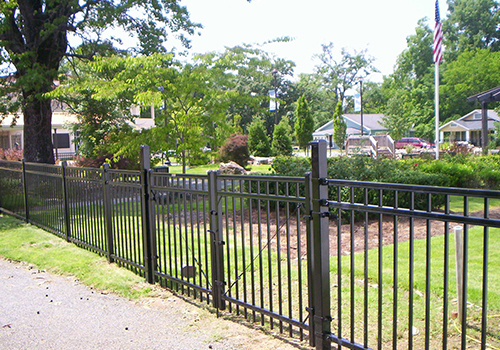 When both elegance and security are needed our ornamental steel, a wrought iron alternative for fences is the perfect touch to residential and commercial properties. Wood fences offer many options whether your style is more traditional or contemporary. Let Ivy Fence Company design and install your wood fence. 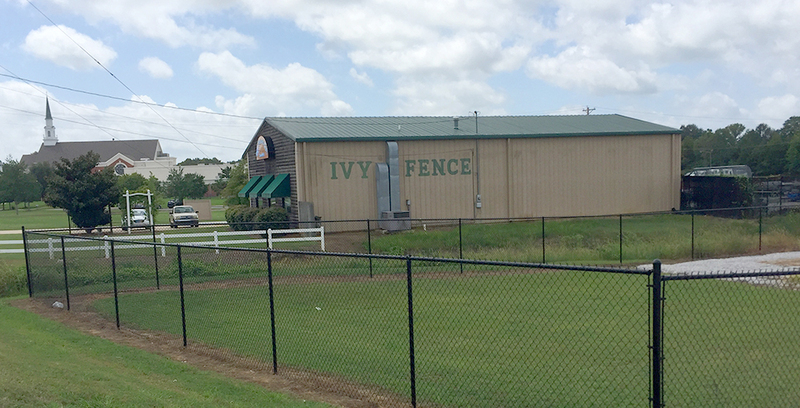 Ivy Fence Company established in 1953 in the Tupelo and Oxford areas in the North Mississippi area. 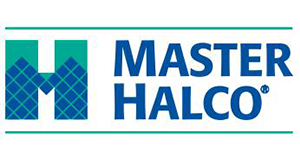 Our name has become synonymous with dependability and quality service. 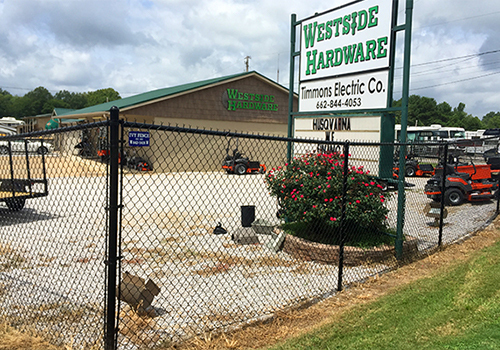 With over 50 years experience in the construction of quality commercial and residential wood fences, vinyl fences, and ornamental steel fences. 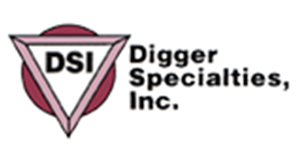 We have the experience to identify and meet our customers’ needs. Ivy Fence Company is committed to excellence in the design, execution, warranty and maintenance of your project. 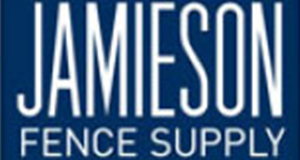 We are a full-service fence company, where Our Reputation is Your Guarantee. Ivy Fence Company, Inc. is a full-service custom fencing company. Each job is different please check out our fence pages with a gallery of ideas of what we can do for you. We work within a 50 mile radius of Tupelo as well as Oxford, MS, Batesville, MS, Holly Springs, MS, Water Valley, MS, as well as the Taylor, MS area. Yes. 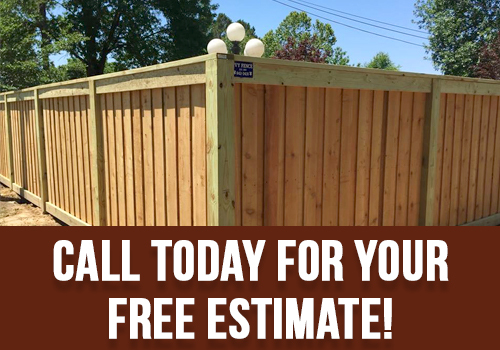 Give us a call so we can help determine if it is more cost-effective to replace your fence or repair it. Do you keep a supply of fence materials and parts in stock? Yes. We keep many items in stock. Often it only takes a day or so to get something in if we do not have it.